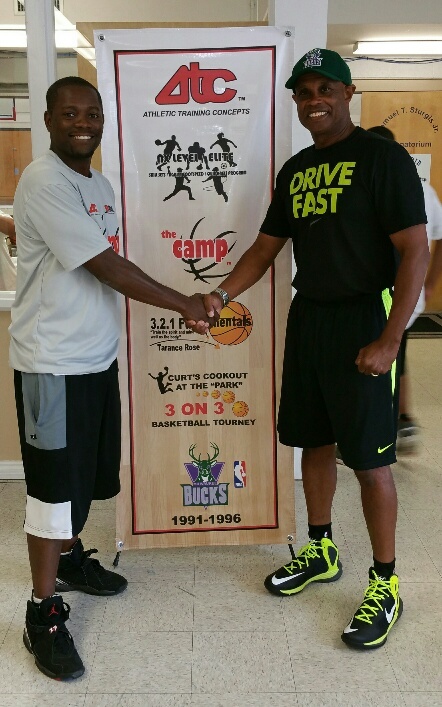 ” the camp ” fundamentals Coach Tarance Rose and Foundation Director Phil Horton at the 2015 Camp. THE MLK / ATC BASKETBALL CAMP was founded in 1992 by Phil Horton, Derek Witherspoon and Roger Burgess after suggestions by then Assistant MLK Center Director Lester Whittington; Center Director Dwright Perkins agreed and “the camp” was born. Phil was the assistant trainer and strength coach with the NBA Milwaukee Bucks while Derek was the head basketball coach at Asheville High School while Roger was the head basketball coach at New Bern High School. All three had just received the key to the City of Lenoir, NC and thus their community involvement began..
Phil had already begun his entrepreneurship by founding ATHLETIC TRAINING CONCEPTS, INC.(ATC) in 1989 and developed a relationship with the city of Lenoir Parks and Recreation that has lasted over 24 years. Lester Whittington has been the MLK Center Director for nearly that same amount time and their partnership continues to provide community projects and programs that are presented each year. The Camp has gone through several name; theme and logo changes to simply being known as “the camp” by area youth basketball hopefuls and future players. The Camp has served over 3,000 participants and continues the tradition of excellence. “the camp” provides fundamental and skills instruction as well as valuable life lesson testimonials from former NBA and NFL athletes, coaches, teachers, professional scouts, policemen, architects and many other individuals from several vocations and professions. The “campers” are always provided with lunches, t – shirts, gift bags, raffle prizes (that included book bags, calculators) and other educational components that ensure a well rounded environment along with physical fitness and health related topics. For the 25th Anniversary a vocabulary and financial component will be introduced to keep up with the Scienc, Technology, Engineering, and Math (S.T.E.M) educational needs of today’s youth now and in the future. 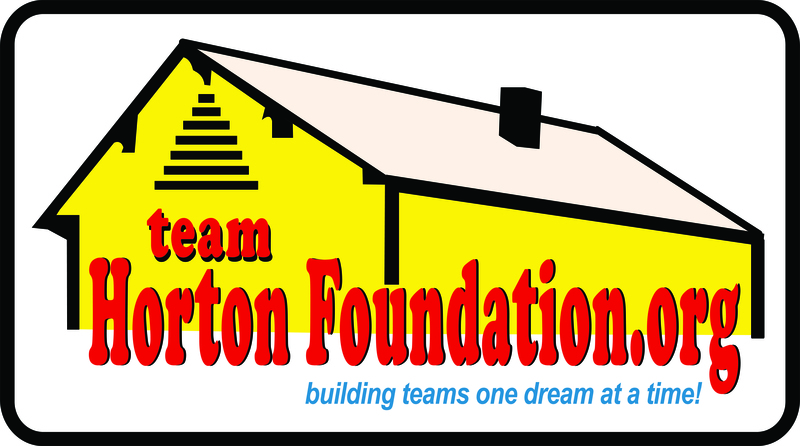 The “team HORTON FOUNDATION” is happy to support this program and with your help “the camp” will embark on another 25 years of excellence.